No one has any doubt that the queens of summer are the pool and the beach. But there are millions of activities that are just as fun when you want to have a great time as a family. A bike ride, an afternoon playing games in the park, or a trip to the ice cream shop in the late afternoon are all ideal plans for summer days. Here are some color-filled outfits to wear for all those great moments. 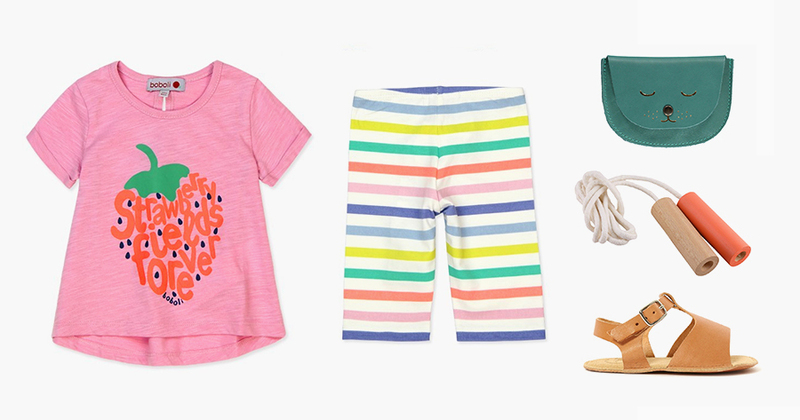 You’ll find the most summer-filled prints at boboli. Combine a T-shirt with a cool pair of Bermudas and pick up a backpack to carry your summer reading. Because, under an apple tree and with a good book, you can spend a fairytale afternoon. 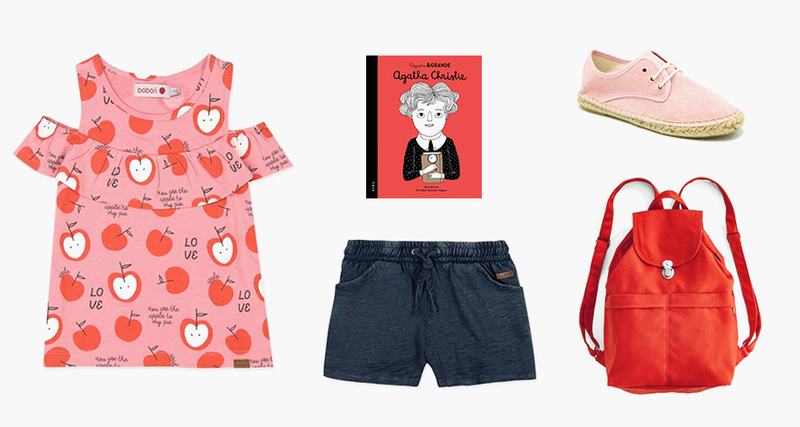 Outfit made up of a ruffled T-shirt and knit Bermudas by boboli, a red backpack, pink espadrilles and a picture book about Agatha Christie. There is nothing better than a pair of Bermudas to keep you comfortable. That’s why you’ll find them in all shapes and colors at boboli. Now get pedaling! 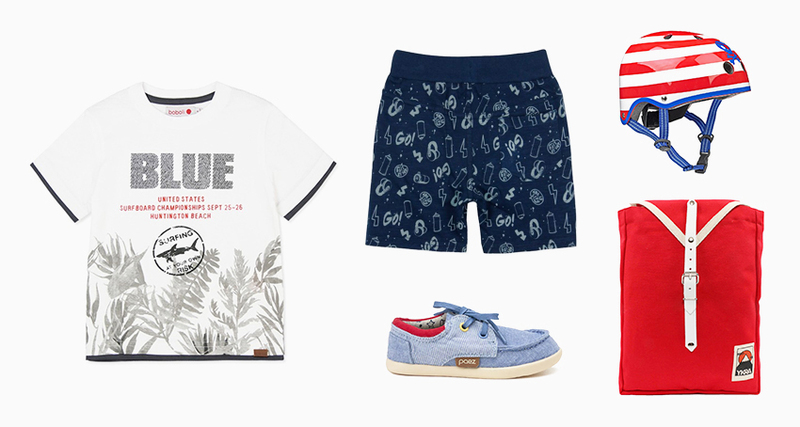 Print T-shirt and graffiti print Bermudas by boboli, red backpack, denim boat shoes and striped bike helmet. We love citrus tones for the summer! Complete your outfit with accessories to match, like a watch or hair clips. Do you prefer sorbet or a slushy? 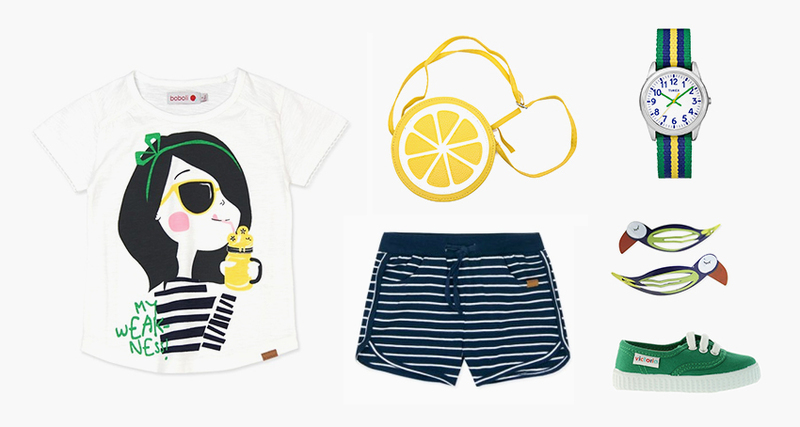 Print T-shirt, striped sailor shorts and toucan hair clips by boboli, lemon cross-body bag, striped-strap watch and green canvas sneakers. A PICNIC AT THE RIVER. The great thing about print T-shirts is that they’re easy to combine and super comfortable for a day of adventures. With a cap on your head and a drink in your hand, of course! Multicolored Bermudas, print T-shirt and striped cap by boboli, navy blue sandals and grapefruit-shaped drinking glass. 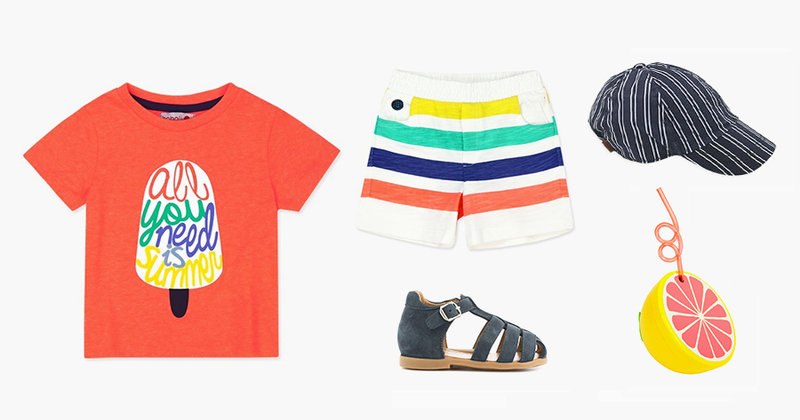 With this outfit by boboli they’ll be able to jump, play and have fun freely. We’ve turned boho style on its head with a touch of color. Strawberry print T-shirt and multicolored leggings by boboli, aquamarine pouch, leather sandals and wooden-handled jump rope. This jam jar hides 100€ vouchers, would you like to win one of them? Reinvent yourself! 10 DIY crafts to give your old clothes a second life.